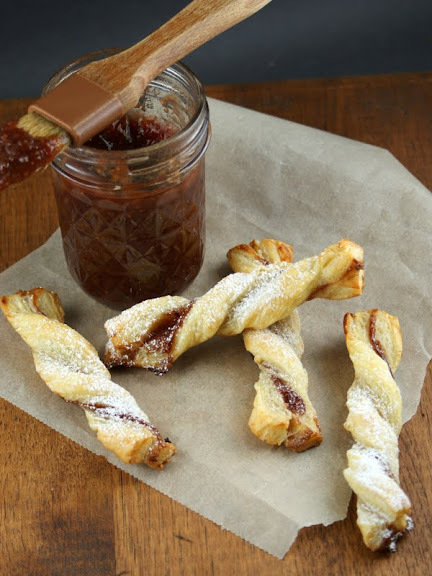 These fig jam straws represent the way you can take advantage of a product in the market to streamline your cooking or baking. In this case, frozen puff pastry has eliminated most, if not all, of the work. You can also play around with different jam flavors. Use homemade jam. Use a store-bought jam. Your call. Visit Authentic Suburban Gourmet to learn how to make these fig jam straws.